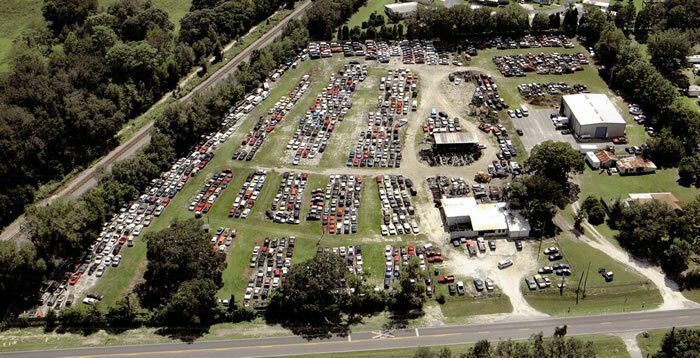 Central Florida Auto Salvage is a family owned and operated full service salvage yard since 2004. We sell quality used auto parts for both foreign and domestic cars and trucks from our 8.5 acres of used and wrecked vehicles. We also feature more than 4800 square feet of fully stocked indoor storage space. At Central Florida Auto Salvage we offer offer nationwide parts locating using a fully computerized inventory system. We also special order from a vast availability of new aftermarket OE replacement parts. We are an actively enviromentally friendly salvage yard that safely and properly contains and recycles all fluids and materials. We are proud participants in the ELVS program (End of Vehicle Life Solutions). Don’t hesitate to contact us today for all your used parts needs or search our online database. We are proud participants in the ELVS program (End of Vehicle Life Solutions). We will pay top dollar on the spot for inventory that matches our needs. Come to us for a variety of automotive parts & tires. Let us help you find the exact part you are looking for. With our competitive rates and fast service, we’ll can and will give you the best value for your time and money. We believe in giving our customers what they want because we want your business now, and far into the future.